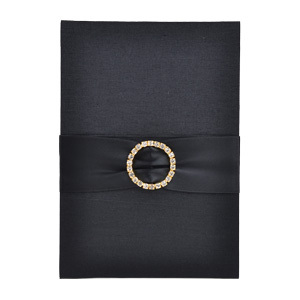 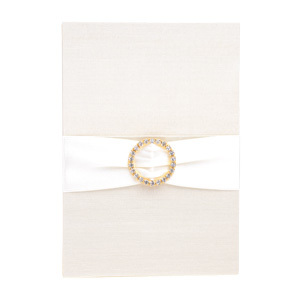 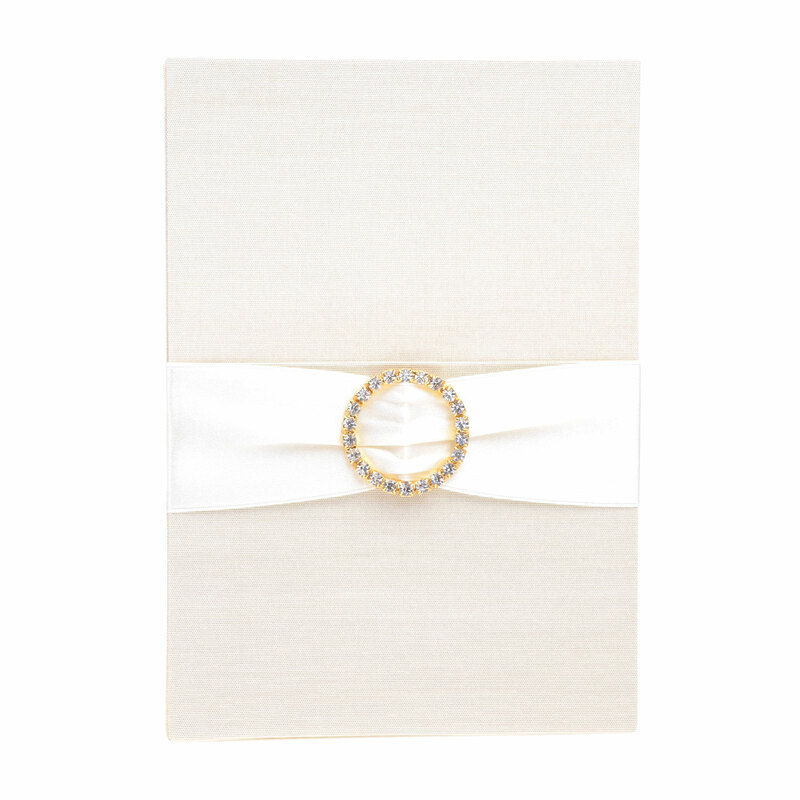 Embellished Silk Pocket Folios The contemporary style wedding invitation that's as stunning as it is. 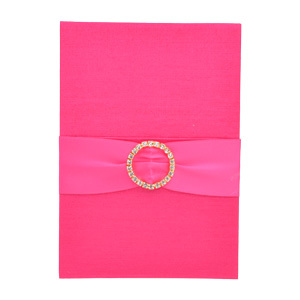 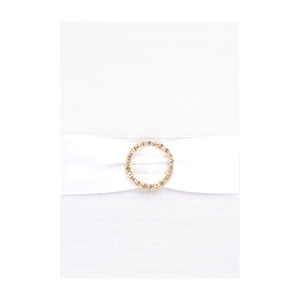 Measurement 4.75" x 6.75" adorned with ribbon & diamante buckle ideas for Invitation card 4.5" x 6.5"
Embellished Silk Pocket Folios Wedding Invitations. 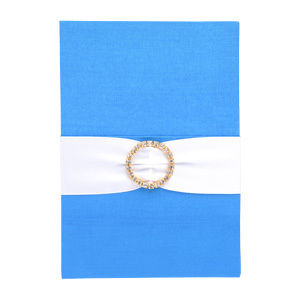 The contemporary style wedding invitation that's as stunning as it is. 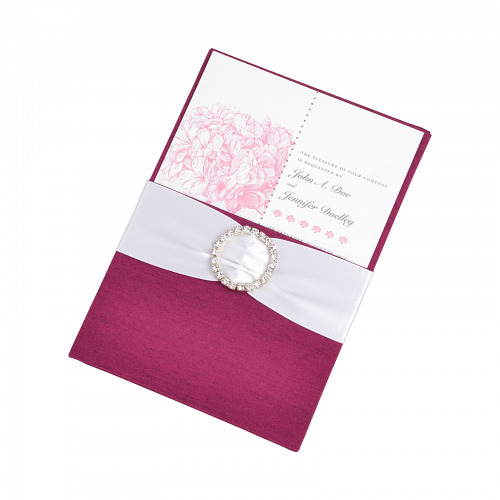 If you are in search for a specific color that would go with your wedding theme, we also offer custom made wedding invitations with a wide array of colors to personalize your silk pocket folios. Visit our custom color option page and check out the best color among more than 100 color choices that will match your wedding theme perfectly. 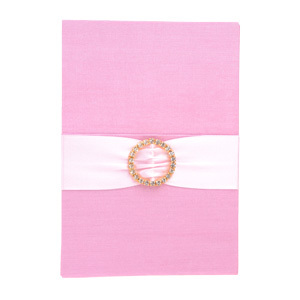 Just specify the color code number found underneath the color option upon placing your order. 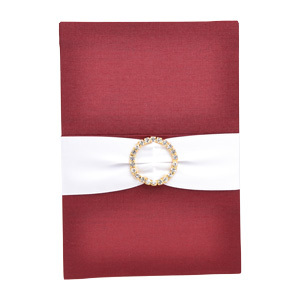 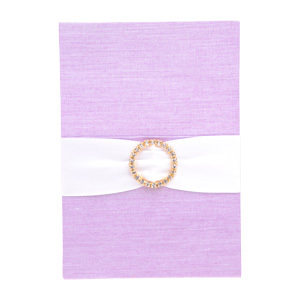 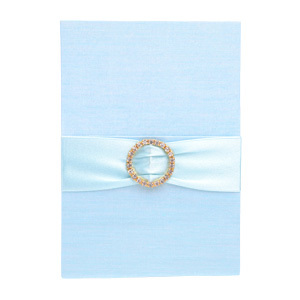 These silk pocket folios will make for a stylish alternative as a wedding favor or bridal shower invitation as well. 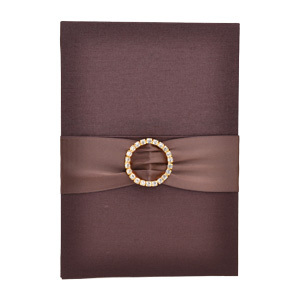 Need to explore more options? 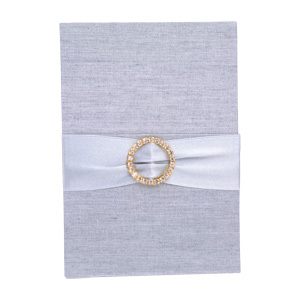 Feel free to contact us so we can discuss alternatives that may suit your needs and requirements for consultation.